Exotic pets are more popular than ever before, so make sure you are ready to care for everything from rats to songbirds withExotic Animal Medicine: A Quick Reference Guide, 2nd Edition. 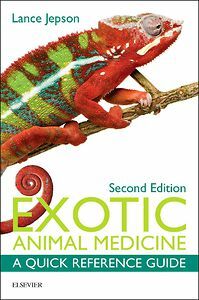 Expanded with three all new chapters and updated content, this new edition provides the key points on differential diagnoses and diagnostics, along with background information on a wide variety of exotic pets, to veterinary practitioners who may or may not have experience treating them. Its practical quick-reference outline format makes it easy for you to see the conditions likely to be encountered within a species; develop a potential differential diagnosis list quickly; initiate an investigational plan; and view treatment regimens.